I’d like to start by stating that I am a fan and user of U-He products. Over the years, I’ve purchased Ace, Bazille, Diva, Filterscape, Hive, Satin, Uhbik, and Zebra2. I didn’t buy these products because they were flashy or gimmicky. I bought them because they had versatile feature-sets, were reasonably priced and simply sounded great. So, I am a bit biased towards expecting good things from U-He products. 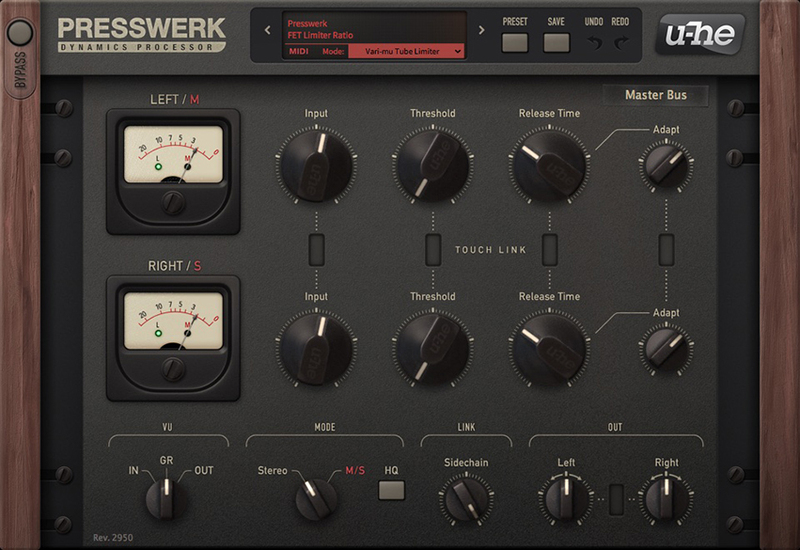 About 2 years ago, I downloaded the Presswerk v1.0 demo and ran it thought its paces. Although it sounded good with all of its controls predictably functioning as expected, I thought the unit simply far too complex for what I considered an everyday “go to” compressor and didn’t purchase it. I felt I already possessed substantial collection of dynamics processors. I found myself constantly using NI’s Supercharger (or GT) whenever I needed to quickly compress a track with minimal fuss. It is a very good sounding unit reminiscent of SSL E Series compressors (which I loved) and easy to use with a minimal CU footprint. However, with my introduction to Presswerk v1.1.1, that all changed. 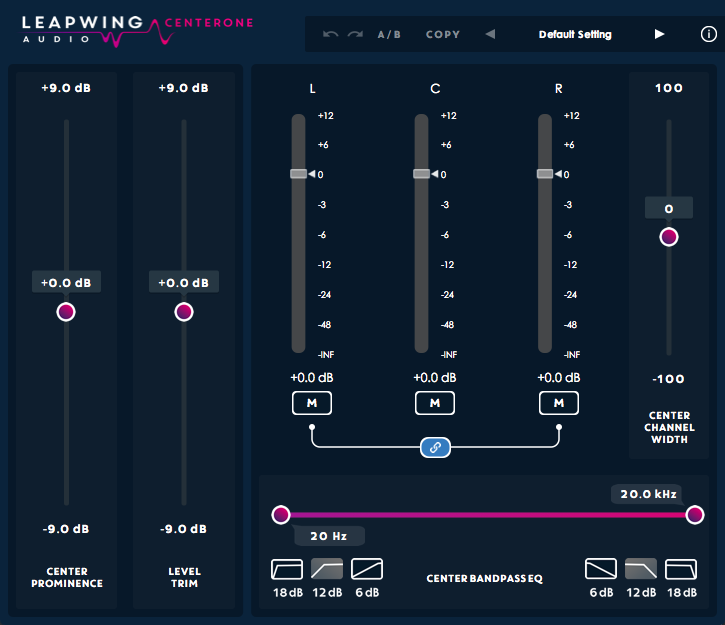 While the main interface remained basically the same, U-He has added Special Views to the feature set. Within a few hours of experimentation and comparison, I was completely sold on using Presswerk as my daily “go to” compression needs, going forward. What I love about the Special View and the collection itself, is that U-He picked and combined exactly the right amount of controls for each variation. The results are as near perfect as I could imagine or chosen myself. I was wowed. I was able to compress the L+R element to create a tighter rhythmical sending track without compromising the stereo field. This is not a subtle change. 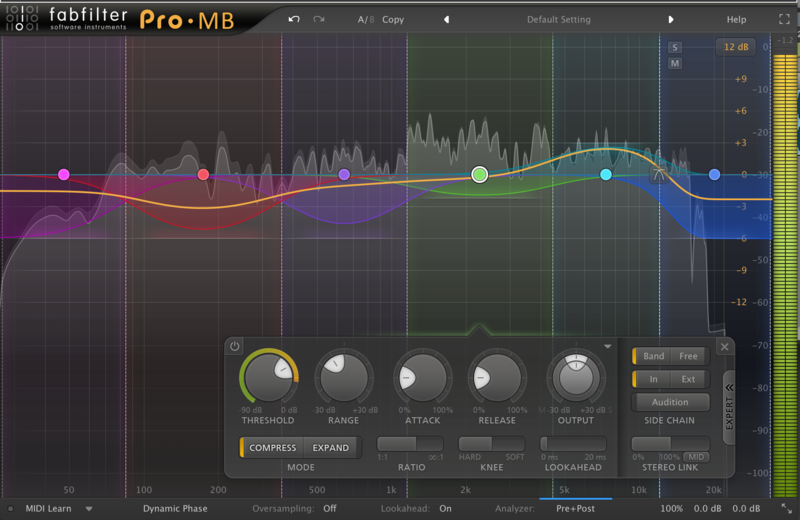 It made the track sit in the mix with a clarity I couldn’t have gotten with any other compressor I know of. I tried it on a stereo background vocal track that was derived from 6 mono tracks panned hard left/center/hard right for each “pair”. The center pair had always been a bit problematic because they were under-mixed in the bounce. Presswerk solved this without compromising the general stereo field. While I was doing this, I had a mono/stereo plugin at the end of the insert chain to see how Presswerk was affecting mono compatibility. At its extremes, you could easily hear cancellation occurring. Backing off to realistic settings, mono compatibility remained intact. This little test was an eye-opener, convincing me that Presswerk is a great tool for this kind of work. Adding the 4 Touch Link controls to this interface was brilliant… particularly because using the linked pair controls retained individual channel offsets. On a number of previously mixed bass and drum tracks, I replaced the NI Supercharger I had been using with the Drum Compressor macro and was able to obtain a more even yet, very punchy quality, than I couldn’t with the NI units. And I should point out that I really had to spend a lot of time with the NI’s to get the sound I was satisfied with, whereas it took almost no time at all with Presswerk. 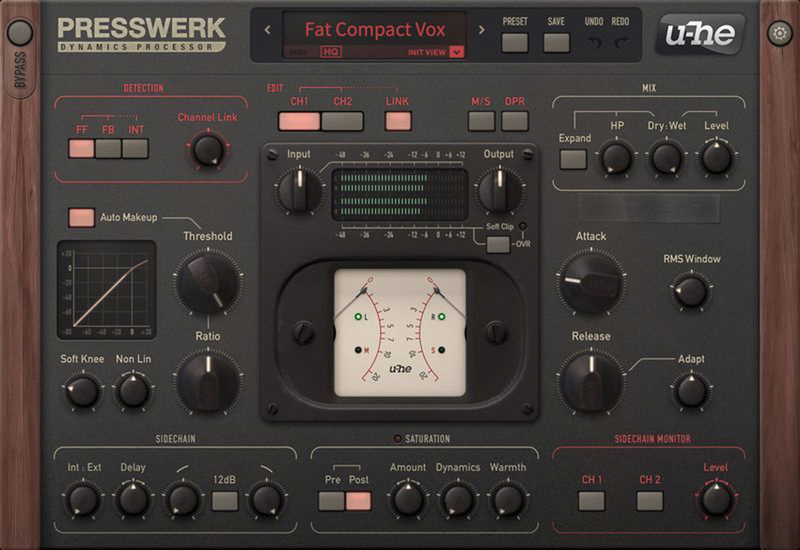 I tried all of the Special Views on varied material, A/B’ing against the various flavors of competing compressor limiters I had used as inserts on those tracks and was able to duplicate or exceed the quality of the sound in most every instance. And a lot faster. These macros are a godsend. But it’s coming back to the Main View that makes this unit exceptional, in relationship to the Special View macros. While the macros provide more than enough control to do the job, I found that taking advantage of the full feature set to augment some of the controls not present in macros, a big plus. I only have one gripe about how Presswerk deals with the switching between Special and Main View interfaces. The manual clearly states that once you switch from a Special View to the Main View, there is no way backwards. And I get this. Adjusting a feature that doesn’t exist in the macro would be impossible to display (or adjust further) in the macro itself. To me, the problem is: no safety net. When you work up a setting on one of the Special Views and switch to Main View, the settings of the Special view are lost forever… unless you had the presence of mind to store the Special View setting before switching to the Main View. This is something that could easily trip up novices and professionals alike, particularly if they haven’t given the manual a thorough read. My suggestion is to pop up a warning/Save As dialog when the Main View button is invoked, so the user has a chance to proceed or back out safely before losing any changed settings of the Special View. Although all of the “standard” type compression controls can be found on this product, it is these clever extra touches that makes this unit stand out from the competition. The Special View macros: Reducing the clutter and simplifying operation with task-specific and relatable GUIs. Channel Link control knob. The ability to vary the amount of detection linking between channels. M/S and DPR Modes. Emulation of early cutting lathe and radio broadcasting compression techniques. Non-Linear curve adjustment. 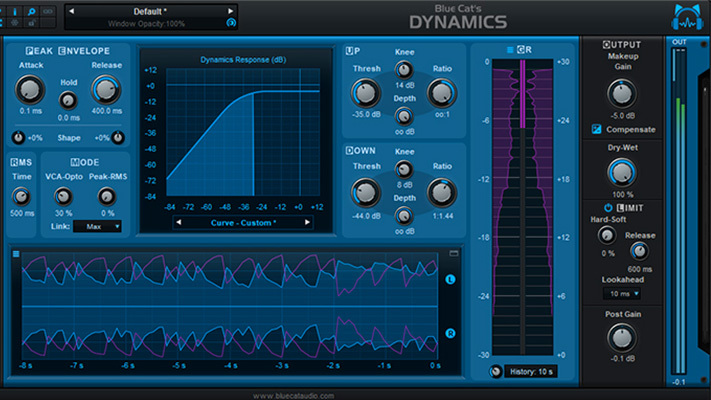 Designed to create the nonlinear response characteristics found in some early hardware units. RMS Window. Used to control the amount of time the detection circuit takes to respond to incoming audio. 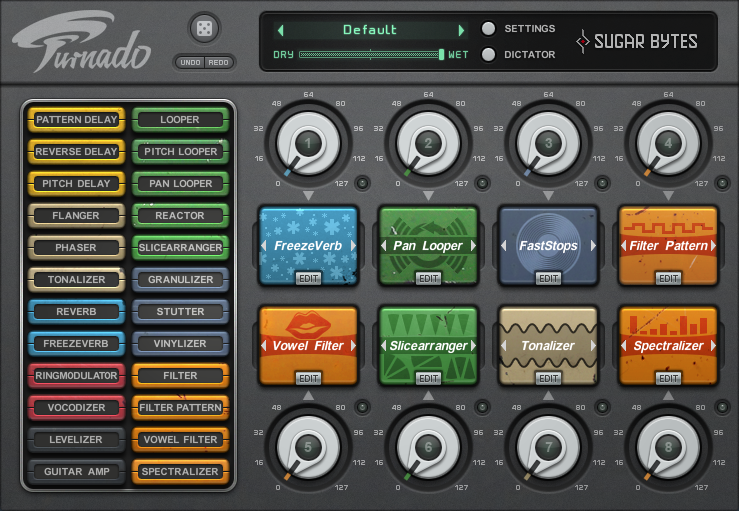 Sidechain Internal/External control. Unlike a typical sidechain In/Out switch, this control can mix the amount of internal and external signal being sent to the detection circuit. Sidechain Delay. The ability to “lookahead” or delay what is presented to the detection circuit. Saturation controls. Rather than built in as a component of the compression circuitry itself, saturation is handled as an independent bit of circuitry that can be inserted before or after compression. Expand and HP Dry/Wet controls. 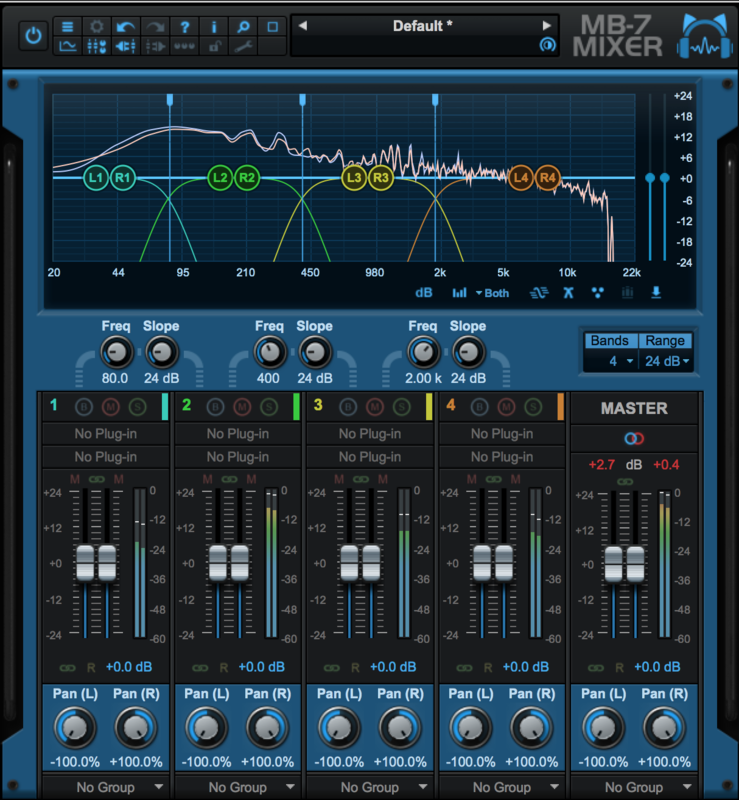 Taking the New York Compression or Parallel trick a few steps farther, these controls change the character of the dry mix when combined with the fully compressed signal. Soft Clip. Unlike clipping schemes I’ve encountered on other units, this one is virtually colorless to the process under most circumstances. Something I find missing in using the Special View “macros” is a way to see input vs. output metering (with the exception of Limiter). Without this metering, there is no way to visually match the output result closer to the pre-compression Input level, except by ear. Having a visual meter indication for confidence would be welcome. Because of the way these macros are set up, you could flip back to the Main View for I/O metering, but you can’t flip back to the macro without losing your settings. It seems like all the Special View GUIs have enough room for some form of simple I/O comparison metering. 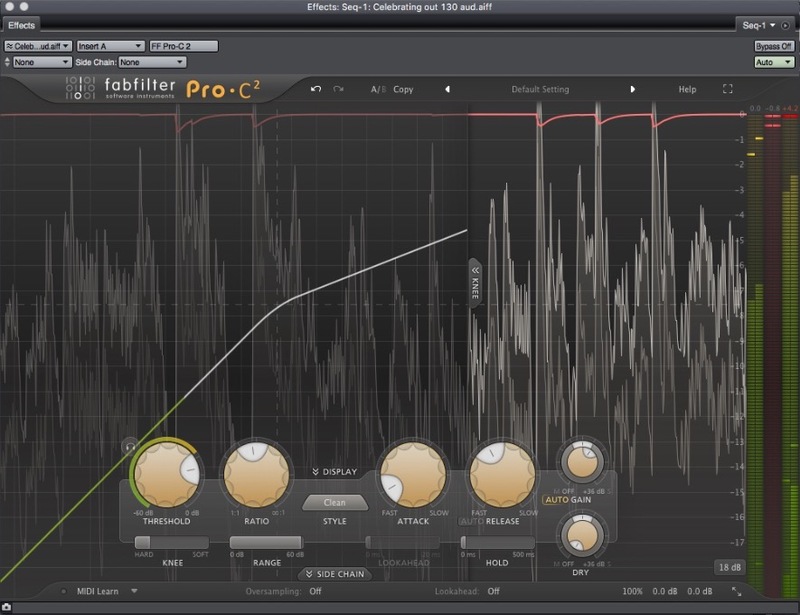 Soft Clip missing on Vocal & MS Compressors. Having that last bit of safety to prevent clipping, like the other Specials, might be a good touch. However, these two macros seem to be more forgiving by creating clipping on their own….so it may explain the omission. And I just love the Soft Clip transparency. I’d prefer if the SHIFT key could be invoked before or after I decide to fine tune a parameter. It trips me up constantly. This thing rocks. Period. I really can’t find anything (other than a few minor nitpicks) about this unit that I don’t like. The manual uses clear language. Every control on it does the job intended and is sonically identifiable. It sounds excellent on an incredibly wide range of material. 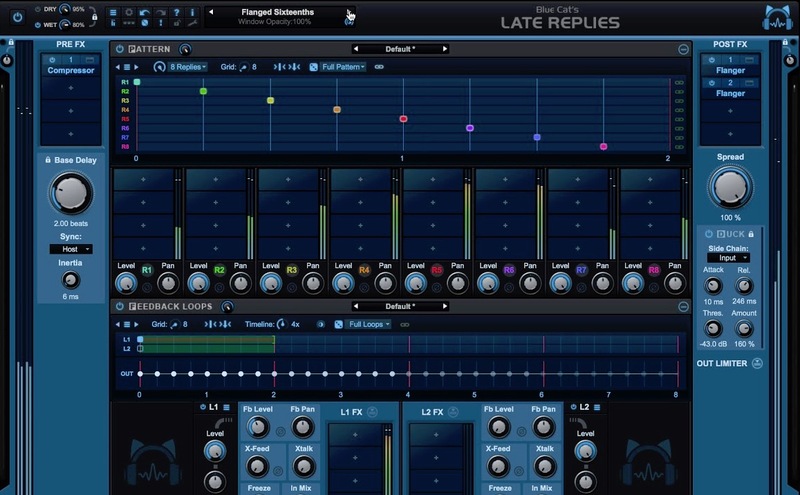 Preset saving and recall is logical, detailed and a snap to use. MIDI control assignment works like a charm. The Special Units macros make it immediately relatable for those intimidated by the Main View’s 30+ set of controls. Reasonably low CPU usage, and the GUIs are a delight to look at and work with.